Come to Mexico. You'll love it. Thank you for your interest in coming to visit us. You, your church, and the leaders of your church will never be the same after visiting this unique city. We strongly believe that missions trips to Mexico City are a practical way to impact lives, call lives to ministry, confirm callings to ministry, and experience 21st century missions. We are eager to have you and/or your church with us. Please take a few minutes to read the following information that will help you know a little more about how to plan your visit. Where in Mexico City are we? Mexico City has grown dramatically during the last years. The greater metropolitan includes areas from a neighbor state "Estado de México" and the population is up to 20 million people. We are located in what is known as Mexico City proper. This of course excludes other neighboring cities and the population is around 10 million people. We are 25 minutes from Mexico City downtown and 30 minutes from Mexico City airport "MEX" which is the best airport to fly into our city. We want to help you plan your visit to Mexico City by providing you with as much information as possible. Please read below to learn more about how to better consider, plan, and execute your missions trip. We hope to see you soon! The very first thing that we will ask you to do is to notify your pastor of your interest to come and visit us. We believe in the authority of the local church and we want your pastor to be informed at all times. You're probably wondering how much it generally costs to take a trip to Mexico. A conservative amount would be between $550 and $750 for 7 days depending on the airport you're flying out of. This includes air fare, meals, hotel and transportation. While everyone probably has a preferred website to look for tickets, I would highly recommend Google Flights. It is an extremely powerful search engine that most of the time will find the lowest fare available. Please keep in mind that if you would like to help us with VBS, teaching English, music, or just working with kids, you would have to come around mid-July. Mexican kids don't finish school until mid-July and go back to school late August, so most of our kid's programs are planned around those weeks. If you are flexible with your schedule and want to work with our kids that would be the best time to come here. How can you prepare before coming to Mexico? Because we know that you will be wanting to maximize your investment, we will ask you to get a few things ready before you come. We will send some basic Spanish material. If you don't know Spanish that's fine! But you can still learn a few phrases that will help you get around while you are here. We would love for you to write a short version of your testimony in Spanish. Most churches have someone that knows Spanish and is probably willing to help you with this project. If not, you would just send it to me and I would gladly translate it for you. It will be a blessing to our people to hear your story and it will be a great experience for you to share it in Spanish. We will ask if you can prepare a few skits. There are dozens of skits that use few to no words and can be a blessing to our people and a perfect way to communicate even with a language barrier. Most songs and hymns in English are already translated into Spanish. We will ask you to choose a few songs that you can sing for special music. Singing in Spanish is very easy once you practice a few times and you won't have to learn the tune since it will be the same. Once you choose the songs, we will help you find the best translation available. You'll like this one. We want to hear you sing in English! We will ask you to prepare a few songs in English for special music. Our people will enjoy it and we can easily translate the words for them. You need a passport to come to Mexico City. Unfortunately, passport cards ARE NOT a valid ID when flying internationally. Don't worry, getting a passport is very easy. Just make sure you have one and that it is valid for at least six more months at the moment of your entrance into Mexico City. Click here to learn how to apply for a passport. If you are traveling with under age kids, please be sure to have a notarized letter from both parents giving their permission for the child to travel. Click here to learn more about traveling with under age kids. And click here to learn more about what a parental letter should look like. Worried about security? Please don't be. Most of the news that you watch is about issues on the border. Mexico City is 20 to 12 hours away from the border depending on the location. We will be smart when going into the city, but you won't feel unsafe. For phone communications while you are here, you will probably want to contact your carrier and ask them about international plans. Many carriers offer great options for a very affordable price. How about the weather? Contrary to popular belief, Mexico City is not hot. The average temperature is in the 70s all year long. How are we getting around? Depending on how many come in your group, it may be easier to rent a 16 passenger vehicle to get around easily. If it's a smaller group, we will be able to handle it just fine. We are praying that God will assemble a team of workers here in Mexico City. If you would like to be here for an internship, please let us know. We would love to hear your story and connect with you. What a better way to experience ministry than living here for a few months. God may be calling you to serve Him in Mexico. Please, if we can serve you in any way, do not hesitate in contacting us. 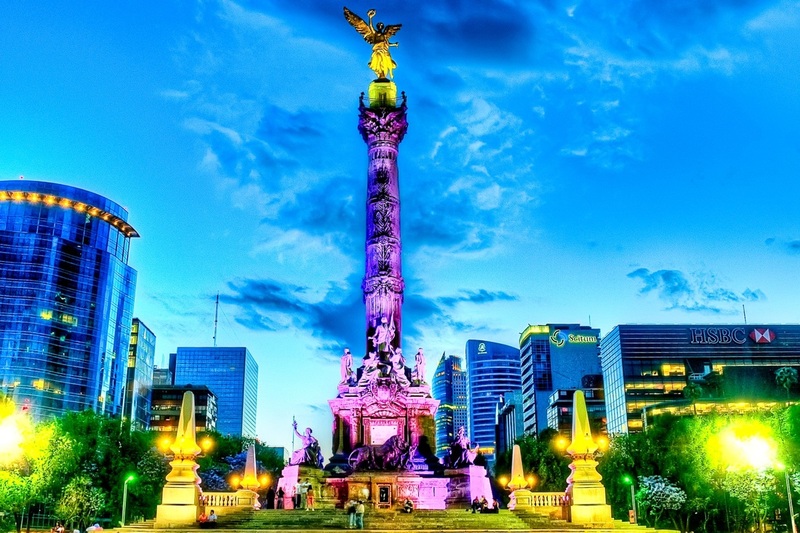 You will not regret visiting Mexico City. If you need additional information, please don't hesitate to contact us.